We’re excited to announce a new shared location for programs provided in St. Catharines by Canadian Mental Health Association Niagara and by Niagara Health’s Adams Street Addiction Services. 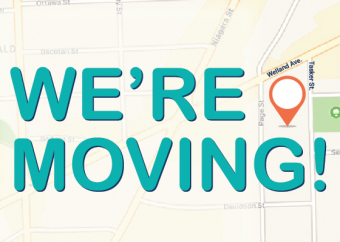 The new location at 264 Welland Ave. in St. Catharines will open to the community on Tuesday, April 16. Partnering under one roof will improve care and access to mental health and addiction services for Niagara residents. The purposely renovated space is brighter and larger and will provide a safer environment and fully accessible programs and services for clients. The Canadian Mental Health Association St Catharines programs and services, including the Safe Beds Program and Urgent Support Services, will also be provided at the new location. The community is invited to a Public Open House Tour at 264 Welland Ave. anytime between 2 and 7 p.m. on Monday, April 15. Tours will take about 20 minutes. If you or someone you know needs help, the Mental Health and Addictions Access Line is there for you 24/7. Call 1-866-550-5205.